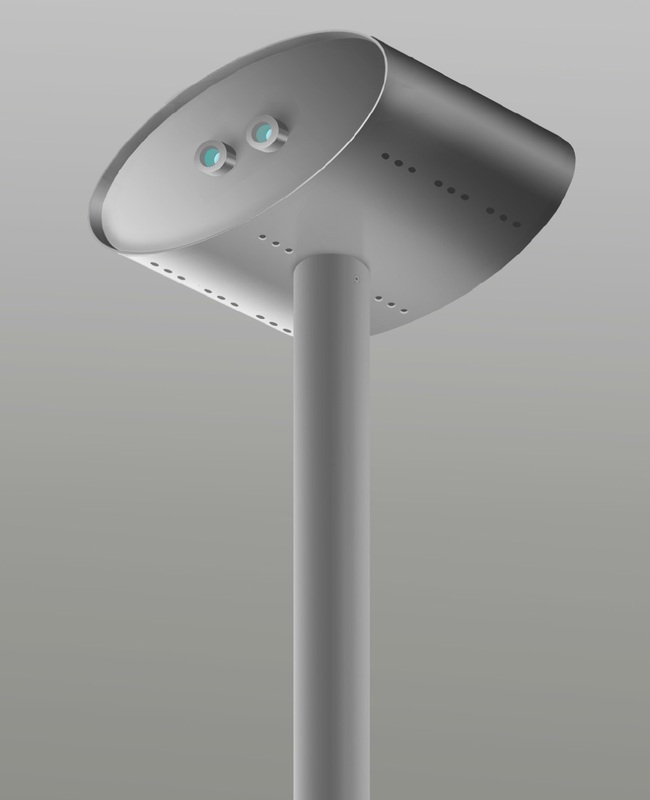 Left: one of the installations at Lough Lannagh. 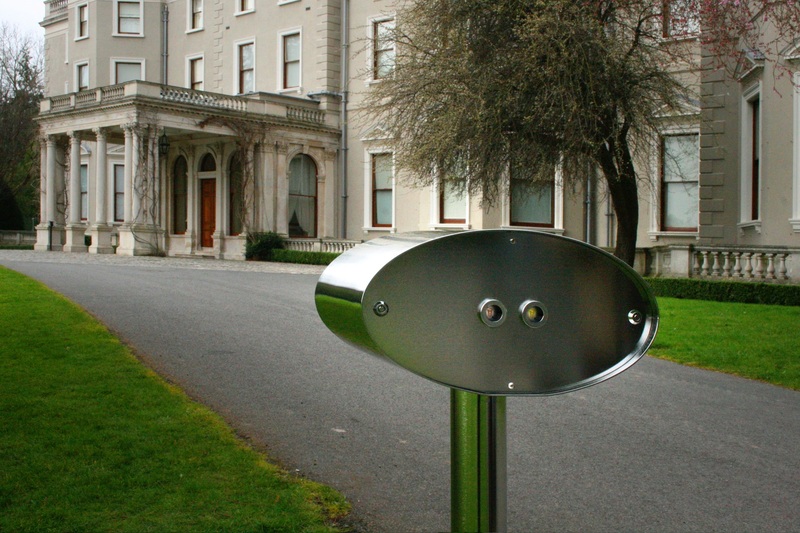 Right: In March 2012, before installing at Lough Lannagh, one of the installation was installed in front of Farmleigh House as part of the Hall of Mirrors show. 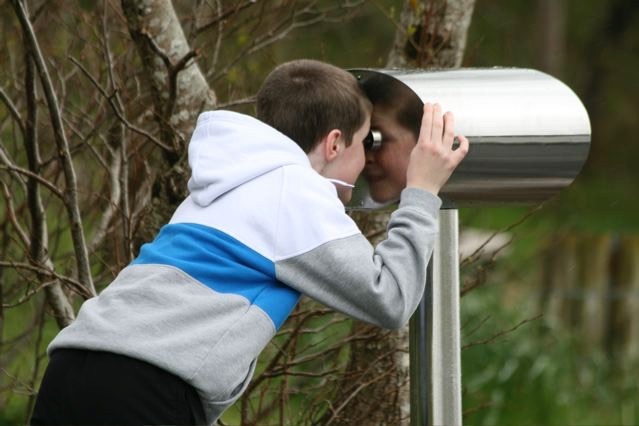 Four stereoscopic viewing posts commissioned by Mayo County Council in 2012 and installed permanently in situ on the banks of Lough Lannagh.  Each juxtaposes a HD film of the landscape for the left and the right eye which, though filmed from an identical view-point, integrate some contradictory information, which the brain will nevertheless try to converge into a stereo picture.